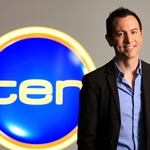 Former Seven Network producer Adam Boland has ended months, if not years, of industry speculation by joining the Ten Network as its new Director of Morning Television. He starts at the network on 18 March, reporting to news director Anthony Flannery. It happens to be the same date that incoming CEO Hamish McLennan takes on his new role. “I’m truly excited about my new role at Network Ten. I firmly believe in Hamish and his management team, the plans they have for the company and their strong commitment to innovative programming. Boland, a former TV and radio journalist, was the driving force behind revamping Seven’s Sunrise in the early 2000s — producing one of the Seven Network’s key success stories of the decade. He later expanded his efforts to launch Seven’s The Morning Show, which last year celebrated five years on air, and also had a brief venture into prime-time as producer of The Night Cap, a late-night panel show on the former 7HD channel. 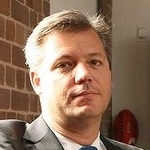 In more recent years he has been executive producer of Weekend Sunrise and director of social media for Seven. Last month he announced his intention to leave Seven at the end of February but gave no indication of his future at Ten which was announced early yesterday (Friday) morning. There had been speculation for some time that Boland was looking for new challenges at another network, and with former Seven executive James Warburton as CEO at Ten up until last week, it seemed possible that Boland could follow. Although he has some impressive runs on the board, Boland no doubt has a challenge ahead. 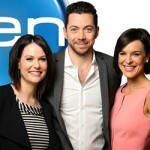 Ten has had a patchy record in morning television in recent years, struggling to maintain a consistent schedule in the breakfast timeslot — as well as the Breakfast flop of last year — and the mid-morning timeslot is now a wasteland of re-runs following the axing of The Circle.